I would greatly appreciate if someone was to explain to me a bit about basics dzogchen meditation. What I would really like to know for instance is do you have to keep your back straight and unsupported or you can sit and rest your back? Also what's the importance of breathing meditation? What I mean is that, is contemplation meditation all you have to do? 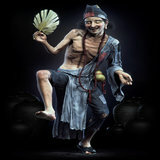 Ervin wrote: I would greatly appreciate if someone was to explain to me a bit about basics dzogchen meditation. What I would really like to know for instance is do you have to keep your back straight and unsupported or you can sit and rest your back? Also what's the importance of breathing meditation? What I mean is that, is contemplation meditation all you have to do? There are many teachings on postures, breathing and mind in Dzogchen as well as many different preliminaries and so on. But you really need a teacher in Dzogchen or else these methods will not work. It is a really a quite annoying tradition in this sense. Reading The Crystal and the Way of Light by Chogyal Namkhai Norbu really helped me see the bigger picture (as much as books go.) 's right on. Try the practices in You Are the Eyes of the World. I wouldn't try tögal positions w/out a mentor but keep spine straight. Machik Labdron said that any position was okay as long as the body is relaxed (arms & legs). Without the Direct Introduction from a qualified teacher, it is very rare to find someone who can enter Dzogchen mediation (integration with whatever arises or doesn't arise, 24/7) by themselves. Keeping the back straight is always helpful to enter contemplation. In Dzogchen you work with circumstances, and so nothing is suggested, in an absolute sense, except the primary practice, Guru Yoga, non-dual awareness, 24/7. So, working with circumstances, it is ok in Dzogchen contemplation to sit and support the back if that is helpful to you. Observing the movement of the breath at the nostrils, or in the solar plexus, may be used by a Dzogchen practitioner to help enter contemplation, but is not generally taught as the entry method in Dzogchen. 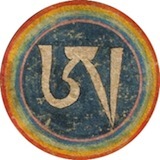 The Dzogchen methods of concentration on an object, and concentration without an object, are specific to Dzogchen and should be learned from a qualified Dzogchen Master. Dzogchen is not to be compared with other teachings, methods and postures. It is simple, very simple. Find out the diff between preliminary practice and dzogchen which transcends view and meditation. I can't speak totally to dzogchen but that statement feels wrong. From whatI understand there isn't much difference between dzogchen and zen. That which is widely renowned as mind, does anyone have it? No one has it! What is it the source of? It is the source of samsara and nirvana and their myriad joys and sorrows. What is it believed to be? There are many beliefs according to the various vehicles. What is it called? It is named in countless different ways. All ordinary people call it I. Some non-Buddhists call it Self. Shravakas call it "individual egolessness." The Mind Only School label it Mind. Some call it Prajnaparamita, [that is,] "transcendent knowledge." Some label it Sugatagarbha, [that is,] Buddha-nature. Some give it the name Madhyamika. Some say "the single sphere." Some name it Dharmadhatu, [that is,] realm of phenomena. Some call it the name alaya, "ground of all." Some call it "ordinary mind." A clear openness of non-dual luminosity and emptiness. It is not oneness, since many things are cognised and known. Can be directly perceived in this very instant. Never be separated from it, children of my heart! It’s like going off searching for footprints although the elephant is right there. But it is impossible that you will find more than the mere name of Buddha. I copied this text because its probably the best, most insightful thing I've ever read. or misunderstanding *about* it at worst. But you don't get the direct experience itself. If I could be so vain, or arrogant.. it is the spontaneous freedom that arises when the mind is fully engaged in the practice of zazen. I don't know the dzogchen equivalent, but I can't imagine they are much different. There is nothing to examine, nothing there at all, but still quite something, which is unspeakable because the moment the thought arises to speak about it, or think about it, it's gone. wisdom that most "will never experience even in their dreams." a Buddha, then why are you in this realm, on the internet guessing at what it might be? It is true that the actual reality is beyond all limits. It is true that what it is is non-dual. to a qualified student by a qualified Dzogchen Master. They are both simply rafts that lead to an understanding of Sunyata. Understanding is actually not what Dzogchen is aiming for. We could argue the semantics and meanings of words all day. But I'm honestly not up for petty squabbles.. It is an important point, not semantics. Mind understands, Dzogchen goes beyond mind and alas understanding. There is nothing wrong with understanding, it has value, however it is not the aim of Dzogchen. If one realizes samsara without basis, it is the attainment of nirvana. If one realizes nirvana as merely nominal, it is the attainment of the primordial sphere. If you are free from efforts and transcend mind, it is the attainment of Dharmakaya. If you are in contemplation without thoughts, it is the attainment of transcending the thoughts and expressions. If there are no concepts and attachments, it is the attainment of the natural state. If you transcend the mind and dissolve phenomena, it is the attainment of the ultimate meaning. If you are free from "is" or "is not", it is the attainment of freedom from extremes. If you cut off the root of fears and doubts, it is the attainment of enlightenment. I taught it for the futur fortunate followers. Secure the eternal attainment in the state of dissolution. Still raft because you are not realized. You have not crossed to the shore. If everyone has crossed to the shore, there is no need for this so called meditation, Zen, Dzogchen, etc. Stilling the Mind, by Dudjom Lingpa, is indeed a great source! 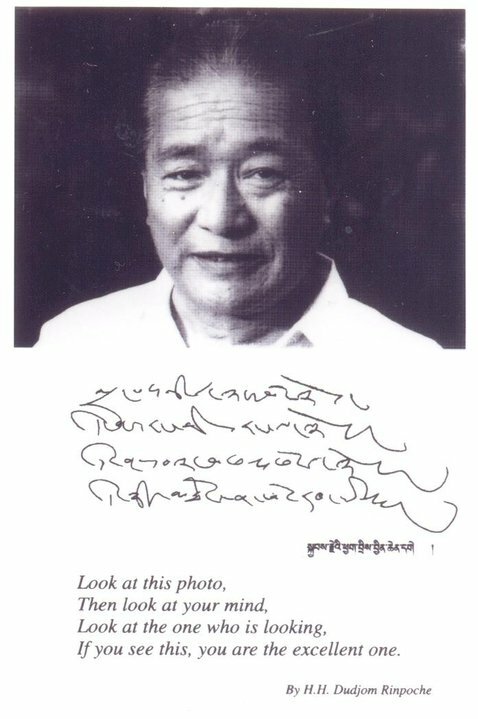 Tulku of the founder of the Palyul monastery, Gyatrul Rinpoche. receive them properly so that their meaning will penetrate your mind. "Love is the natural condition of all experience before thought has divided it into a multiplicity and diversity of objects, selves and others." Jesse wrote: From whatI understand there isn't much difference between dzogchen and zen. The difference is that Dzogchen has teachings on lhundrup, not just the empty nature of the mind. The empty aspect of the two teachings is very similar, though. Namkhai Norbu Rinpoche covers it well in "Dzogchen and Zen".